Our holiday rubber ducks are the perfect choice for your office's treasure chest this Christmas season! 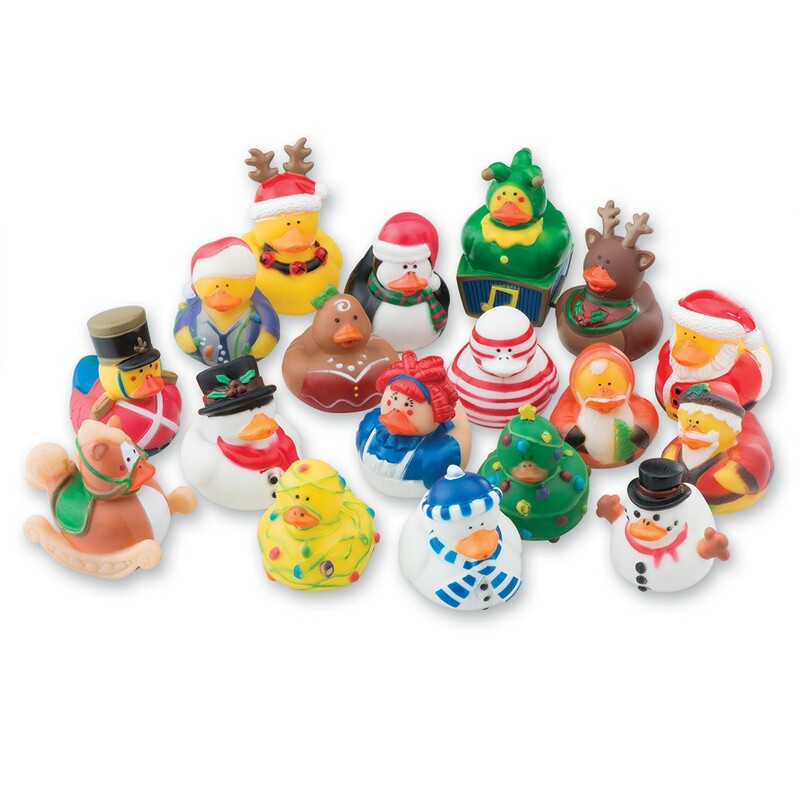 Perfect for adding to patient take home bags, this collection of seasonal vinyl duckies feature ducks dressed as snowmen, Santa Claus, reindeer, penguins, Christmas trees and more! Ducks do not float upright.